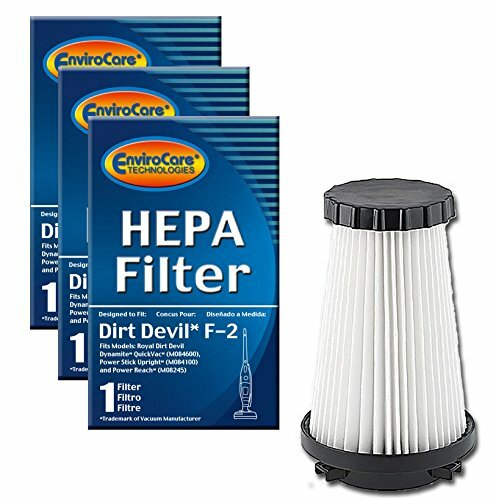 Vacuum HEPA Filter Compatible with Dirt Devil F1 (F-1). Contains 3 HEPA Filters. 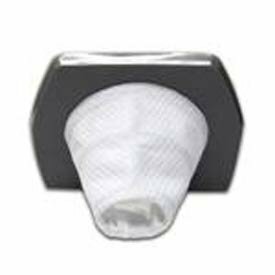 Premium Allergen Filter Compatible with Scorpion, Bagless Extra Light, Breeze Bagless, Jaguar Bagless, Scorpion Deluxe Bagless, Featherlite Bagless, & Platinum Force Vision. Vacuum HEPA Filter Compatible with Dirt Devil F1 is washable and reusable HEPA. 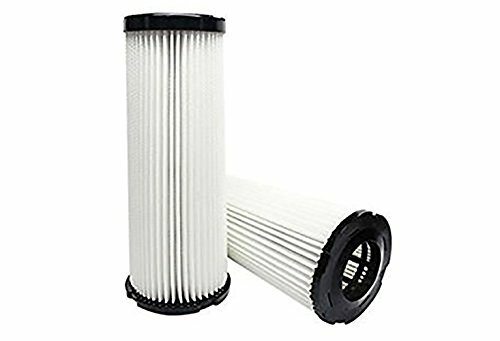 Replacement filter compatible with the following Models:086925L, 086935L, 088100, 088105, 088150, 088175, 088500,088600, 088650, 088750 and 088760, 085800, 085805, 085845, 086700,086925, 086935, 086940, 087500, 087600, 087700, 087800, 087900, 088100,088105, 088110, 088115, 088150, 088175, 088300, 088400, 088525, 088700,088900, 091210, 091700, 091750, 091800. Compare to Part # 3JC0280000, 3-JC0280-000 & 2JC0280000, 2-JC0280-000. Compatible also with Vision Bagless models produced since 2003. Packaging may vary.This is not a Dirt Devil OEM product. The Dirt Devil brand names and logos are the registered trademarks of their respective owners. Any use of the Dirt Devil brand name or model designation for this product is made solely for purposes of demonstrating compatibility.. This is a Green Label F44 2 HEPA + 4 Foam Filter Kit for Dirt Devil Canister Vacuum Cleaners.It compares to Dirt Devil OEM # 304019001 and fits the following models: Quick Lite Plus Bagless Upright Vacuum UD20015& Dynamite Cyclonic II UD20100& Power-Lite Cyclonic UD20020, UD20025.The package contains: 2 x F-44 HEPA Filters; 4 Foam Filters. 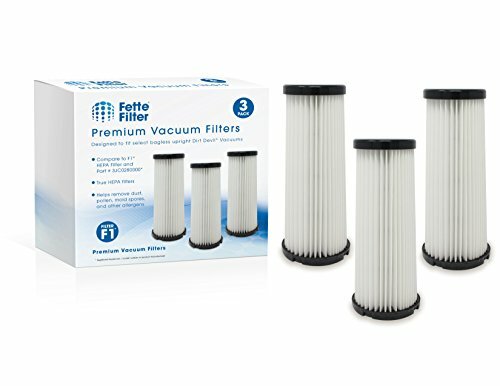 Filters are essential for your vacuum cleaner to function properly. They trap fine dust particles and allergens, preventing them from recirculating into the air of your home. It is important to clean and replace them regularly. This filter is washable and reusable. No questions asked return policy! Fully refundable. Green Label is a premium and environmentally friendly manufacturer of aftermarket vacuum and steam mop filters and accessories. This product is designed and manufactured by Green Label. This is not a Dirt Devil OEM product and is not covered under any Dirt Devil manufacturer's warranty. The Dirt Devil brand names and logos are the registered trademarks of their respective owners. Any use of the Dirt Devil brand name or model designation for this product is made solely for purposes of demonstrating compatibility. 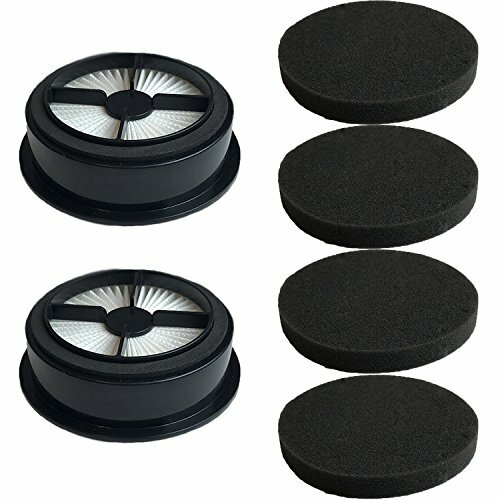 his is a genuine Dirt Devil F66 HEPA Filter and Foam Filter Set For Dirt Devil UD70010 Uprights 304708001. Includes both the square washable filter, and the black square shaped HEPA filter. 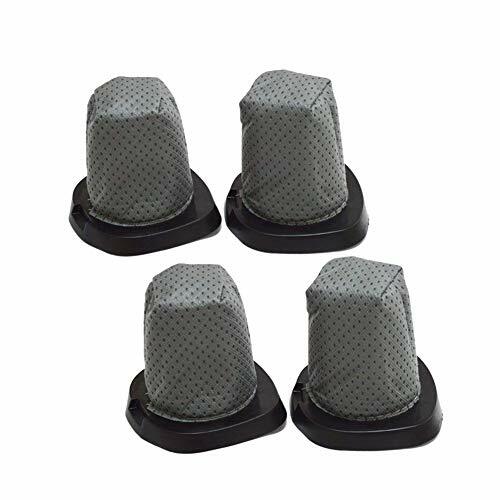 Product Name: EZ SPARES 4PCS Dirt Devil 083405 Series Swift Stick Vacuum Style F25 F-25 Dust Cup Allergen Filter Hepa Attachment Kit Replace Part #'s 2SV1102000 & 3SV0980000 Shipping List: 4x Dirt Devil Hepa Kit The Size: In the picture Applicable Model : For Dirt Devil F25 (F-25). Note: Please allow 1-3mm error due to manual measurement. About EZ-SPARES: Since the establishment of our company in 2009,we have been committed to produce and supply the best spareparts of home appliances for the customers in the world.Now we are offering the most comprehensive coverage of electrical appliance replacement parts for households over 40 countries.Choose EZ SPARES, we will be your good helper to provide a more convenient,comfortable and healthier lifestyle for you and your family. 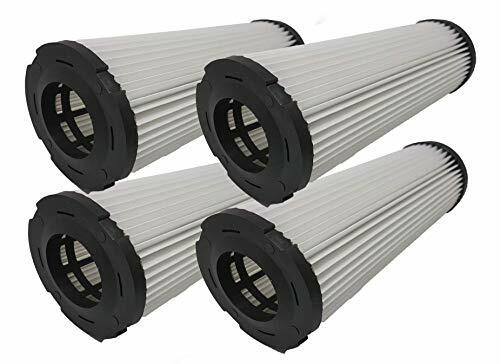 Want more Dirt Devil Replacement Filter similar ideas? Try to explore these searches: Gas Fireplace Vent Cover, Women Quartz Bangle, and 2 Pack Scale.